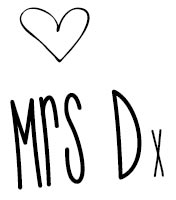 Miss H’s birthday is right slap bang in the middle of the Easter school holidays. You’d think it would be much more fun to have your birthday in the holidays but she is devastated because she wanted to take ‘cakes’ in for all her class at school!! Poor little thing I did feel for her. Our school breaks up for the holidays on Friday and the kids are doing an Easter Hat Parade, which I’m sure will be very cute. Miss H is very enthusiastic about her Easter Hat, but Master J is verging on being too old for it now and is not quite as excited. The best bit is the Easter picnic that follows and everyone is allowed to bring in an Easter treat for their morning tea. I asked Miss H if we could make something ‘Eastery’ for her class and she could take them in instead of birthday cakes to have at the picnic. THAT got rid of the teas – phew!! 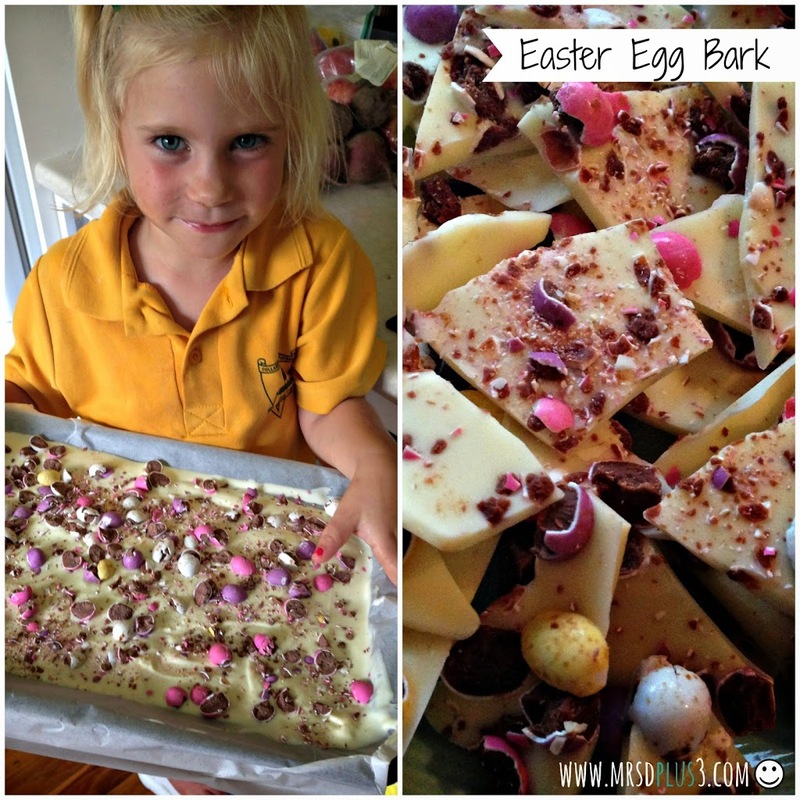 I made chocolate bark at Christmas last year and it was so quick and easy that I thought making an Easter version would be a great idea, with the White chocolate Easter Egg Bark. 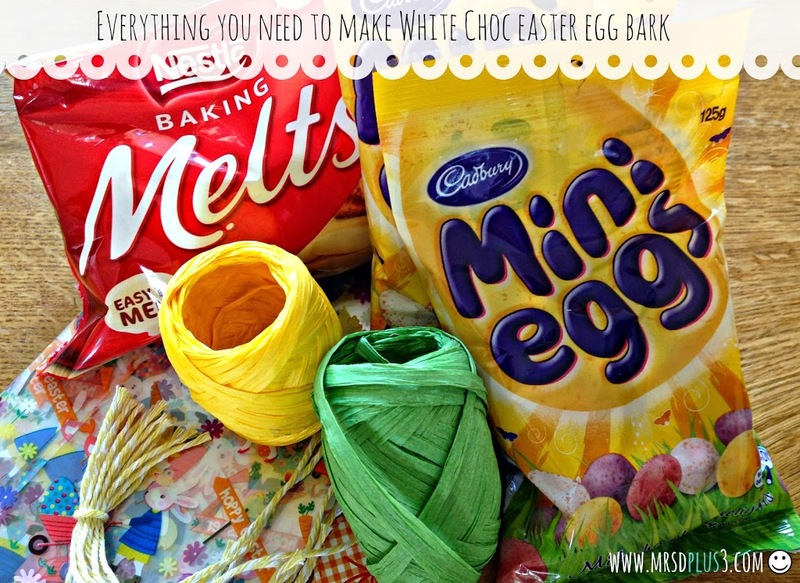 Take a rolling pin (or something similar) and bash the mini eggs (still in their bag) until they break up into little pieces. This is a great job for any little helpers you may have. Melt the white chocolate in a pan on the stove top, stirring slowly. I find it better to have it on a low heat so the bottom doesn’t burn. Once the chocolate is completely melted spread it over the grease proof paper in a thin even layer. Immediately pour the crushed mini eggs on top and pop the tray in the fridge in the fridge. After a couple of hours take it out the fridge and snap it up into bit sized shards. This is another great job for little helpers. We then put a few pieces into each bag and tied them up with colourful string. They’re all in the fridge waiting to go to school and I’m sure Miss almost 5 will be very happy to hand them out to her friends. I forget how important these little thing are when you’re almost 5!!! I love Easter baking and made these cute bunny cupcakes last year. This year we’re going to be camping over Easter, so I’m not really sure how I’m going to manage to do any! Does anyone have any tips or suggestions on how to do Easter in a campsite???? Hi there Robyn, this looks great. I just bought some white chocolate to make into eggs int he holiday but might well re-visit. Have you ever been to the Coco Chocolate shops?? I took the twins – briefly – to one on Sunday and we bought dark choc bark with freeze dried raspberries … outrageous!! But the kids would definitely prefer the white. Thanks Robyn! Just made with Master Z…he loved it…especially the bashing! Hi Robyn. Looks amazing & have just made some with Master Z!